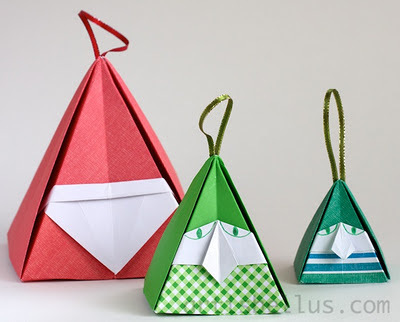 This is a gorgeous decoration designed by Tomoko Fuse. It's a variation of the framed flower that I posted a few weeks ago. 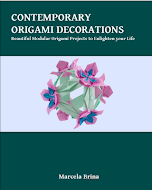 The instructions to fold the framed pinwheel can be found in the book, Motif Pastern of Origami, by Tomoko Fuse, ISBN 9784569707730. 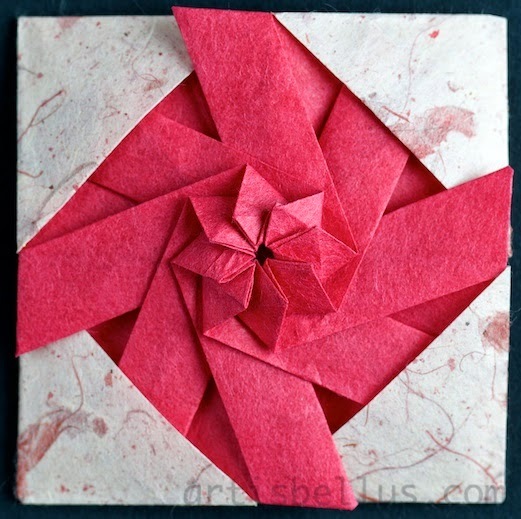 I folded the pinwheel with an octagon cut from a 6" (150 mm) square of red washi paper, and the frame with a 6" (150 mm) square of hand made paper.